Illinois Bank & Trust has announced the promotion of Jeff Hultman to the position of President and CEO. Illinois Bank & Trust has announced the promotion of Jeff Hultman to the position of President and CEO. Hultman succeeds Steven E. Ward, who will relocate and be named President of Centennial Bank and Trust in Denver, Colorado. Both Illinois Bank & Trust and Centennial Bank and Trust are subsidiaries of Heartland Financial USA, Inc., a Dubuque, Iowa-based community bank holding company. Hultman has most recently served as Market President of Illinois Bank & Trust, having joined the bank in 2011 as Executive Vice President in charge of Commercial, Treasury Management and Private Banking. 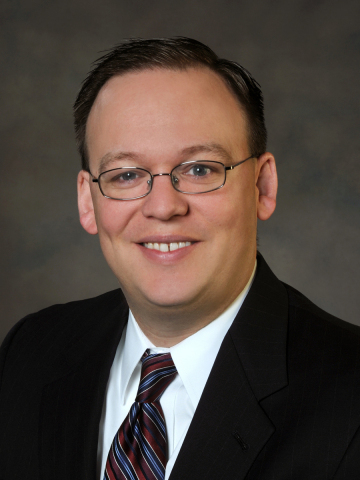 Previously, Hultman was Rockford Area President of Commercial Banking at JPMorgan Chase Bank where he served in various Commercial Banking capacities for 14 years. Hultman is a graduate of Bethel University, where he earned a bachelor's degree in Business (Finance). He received a Master's of Business Administration degree from Northern Illinois University. Dan Loescher, Chairman of the Illinois Bank & Trust Board of Directors, said, "I know our employees and valued clients will be in excellent hands going forward with Jeff Hultman at the helm. In his five years here, Jeff has come to know the bank and is deeply committed to the communities we serve. He is recognized as an excellent leader and commercial banker. Like Steve, Jeff shares the same high esteem for employees and customers." Active in the community, Jeff currently sits on the Board of Directors and Executive Committee of Alignment Rockford, the Rockford Chamber of Commerce Board of Directors, and Discovery Center Board of Directors. Previously, he served on boards for the Rockford Area Economic Development Council, Next Rockford, Rockford Area Century Group and the United Way of the Rock River Valley. Said Hultman, "I am humbled and excited to become the next President and CEO of Illinois Bank & Trust. It is very exciting to be part of a dynamic and growing organization. Our bank is steeped in a great tradition and I eagerly look forward to working with our Board of Directors and talented team of bankers to build on the momentum created by Steve Ward." Ward completes a nearly eight-year stretch as President and CEO of Illinois Bank & Trust. During his tenure, the bank grew organically and through acquisition by 182 percent in total loans and by 219 percent in total deposits, doubling its market share in the Rockford MSA to 6.5 percent. Ward oversaw the name change from Riverside Community Bank to Illinois Bank & Trust and managed the acquisition of Freedom Bank locations in Sterling, Seaton and Rock Falls as well as the merger with IBT's sister bank, Galena State Bank and Trust Company, with locations in Elizabeth, Stockton and Galena. Ward said, "While I am honored to have the opportunity to serve as President of Centennial Bank and Trust, I leave the community of Rockford and Illinois Bank & Trust with mixed emotions. I will certainly miss the many friends and business partners I have come to know and appreciate over my many years in the community." About Illinois Bank & TrustIllinois Bank & Trust serves customers from 11 locations in the Rockford metropolitan area, Rock Falls/Sterling region, Galena, Elizabeth and Stockton, Illinois markets. The $757 million bank is a subsidiary of Heartland Financial USA, Inc. and offers commercial, personal, agriculture, and wealth management services. Illinois Bank & Trust is a Member of the FDIC and an Equal Housing Lender. For more information, visit illinoisbank.com.